Designed to program simpler geometries, the WorkNC 2D Positional License is a robust module for turning out high-quality parts without sacrificing ease of use. This license is Ideal for generating positional (3+2) toolpath that incorporates 2D programs created by locking a cutting tool into a tilted position. It also supports the full range of hole-boring needs. 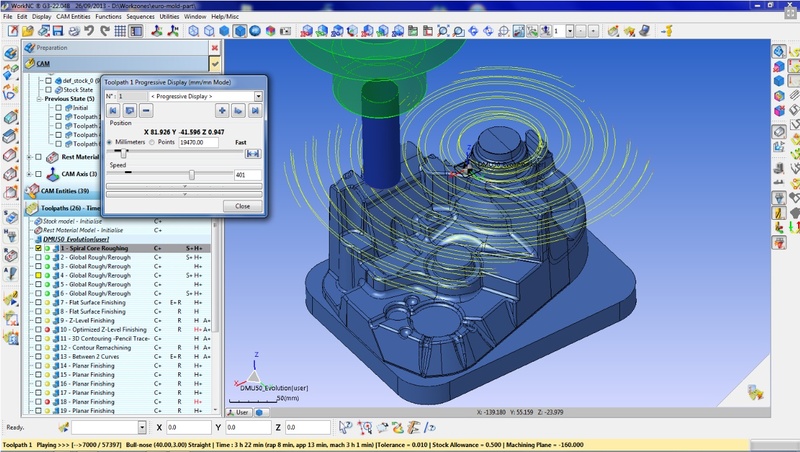 Pairing functionality with flexibility, WorkNC Includes global roughing, 2D toolpath on curves and surfaces, and automatic and manual hole-programming functions. The software contains 2D curve machining functions for machining directly from independent 2D entities, or curves extracted from 3D models. To make programming even faster, many of the 2D functions can be performed directly on a solid face without extracting curve geometry.